I have not observed any particular season here. When it rains continuously for 2 days it is rainy season, if it is hot, dry and sweaty for a week it is summer for me n family. Winter is something my son has experienced and we have sort of 'forgotten', unless we plan our vacation to India in the month of December or January. 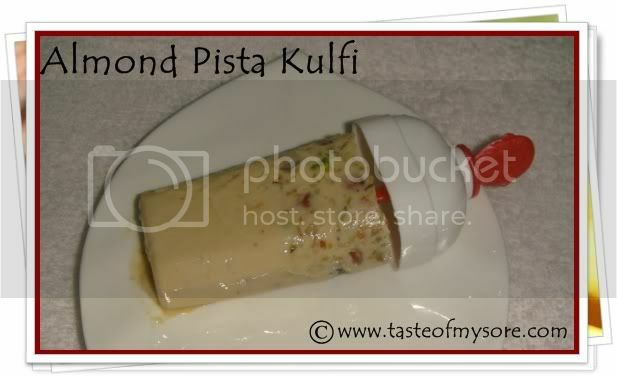 On one such 'hot, dry and sweaty' Sunday I made this Almond Pista Kulfi which we all liked. I thought of sharing it with you all. 1. Dissolve agar agar in warm water. 2. Beat malai/cream and make it homogenous. 2. Take evaporated milk in a vessel, add malai/cream sugar and warm the milk to dissolve sugar. 3. Add dissolved agar agar water to it and mix. 5. Add chopped nuts, mix and pour them to kulfi moulds. 6. Refrigerate for 12 hrs before you serve them. 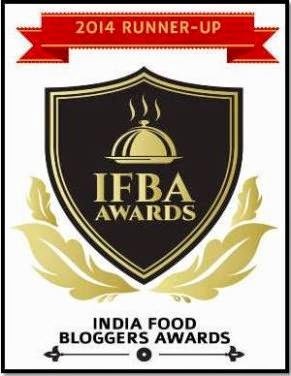 Note : If more (2tbsp) agar agar is added a softer kulfi is obtained. looks yummy..akash must have loved it.. Thanks Rekha. At last you could access the comment section! Yummmmmmmmmmmmmmy. Wish i could lick it off. Looks yummy. Wish to have one from there;) Thanks for the recipe! Here it is cold, but still i would love to have this delicious kulfi. They look so good, but alas I don't have a fridge here and I didn't find any kulfi stalls near by, so have to make my taste buds suffer. looks so very delicious. last time i tried to comment but did not get it. 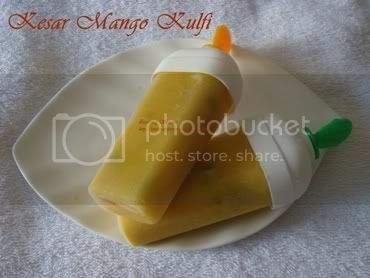 omg this looks so yum,...:-)...perfect kulfi,..